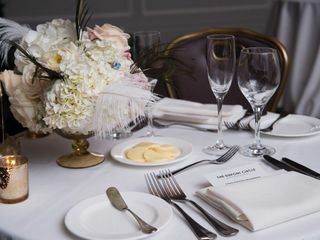 The Dupont Circle is a premier wedding venue located in the heart of Washington, D.C., perfect for destination weddings and hometown celebrations alike. 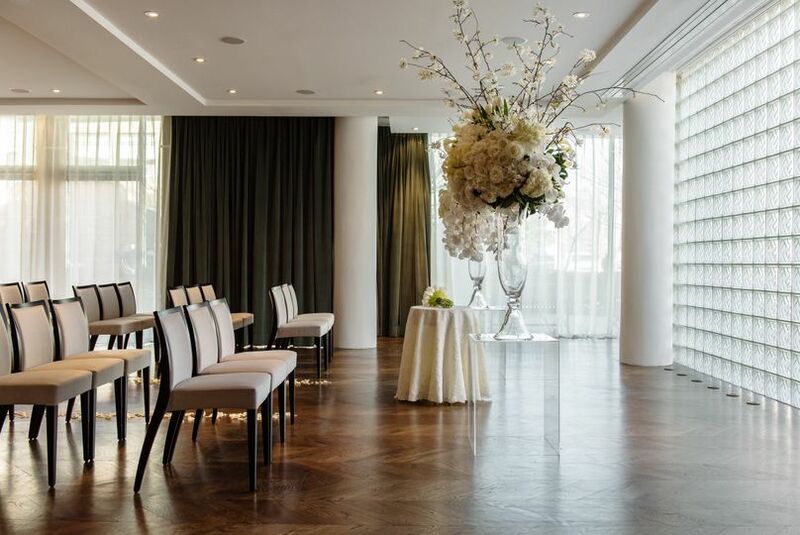 With over 10,000 square feet of event space, you’ll be able to custom design the wedding day of your dreams right in the center or the nation’s capital. 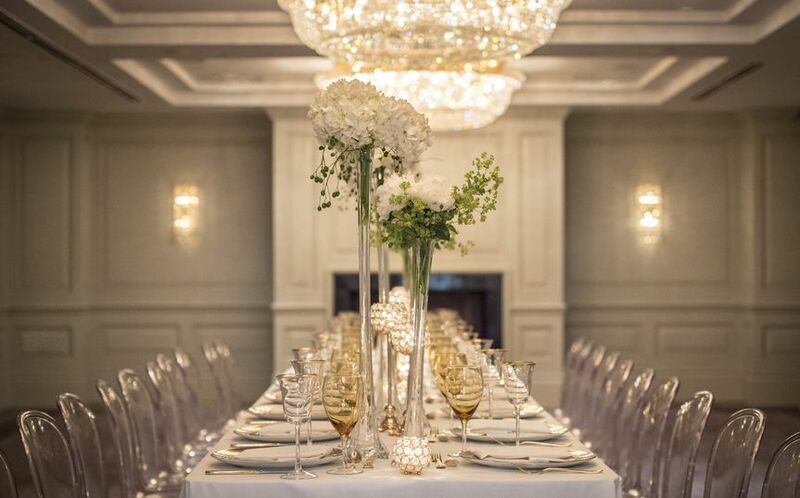 From an on-site rehearsal dinner to a post-wedding brunch, the team at The Dupont Circle is ready to help you create the perfect day to remember. 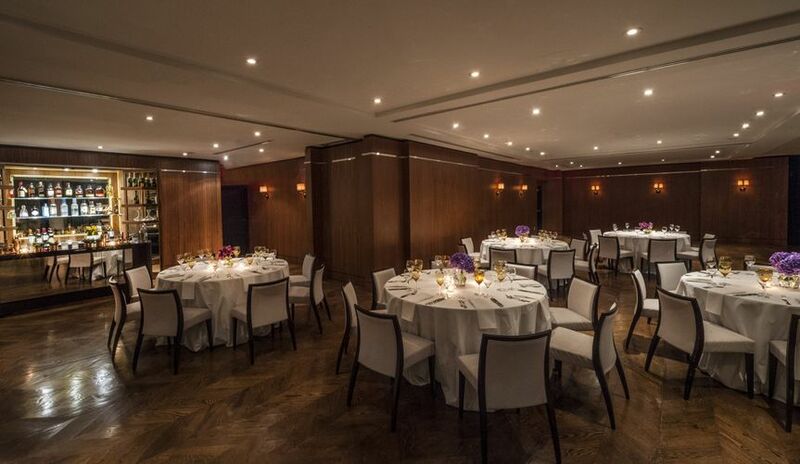 With a capacity of up to 185 guests, The Dupont Circle has a few event spaces to choose from. Perfect for intimate gatherings, The Foxhall Ballroom is a 626-square-foot stunning space with natural light and a gas fireplace. 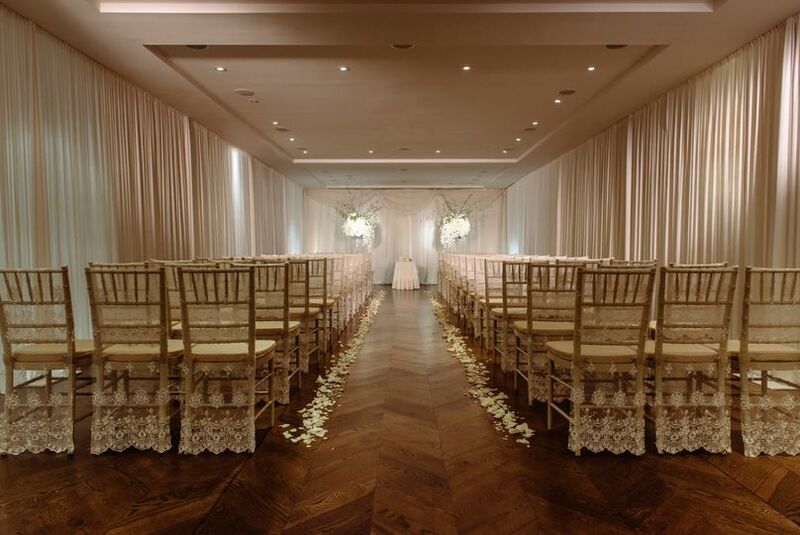 For a breathtaking ceremony, utilize the Glover Park Room, boasting 2,000 square feet of sunlit, white walls and rich hardwood floors. 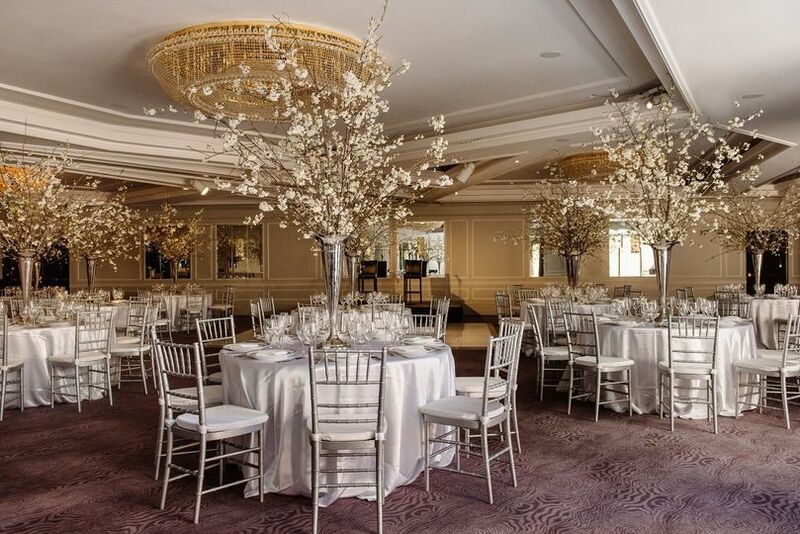 For a more traditional setting, host your guests in the Dupont Ballroom with over 3,000 square feet of magical space, decorated with intricate chandeliers and warm, rich tones. 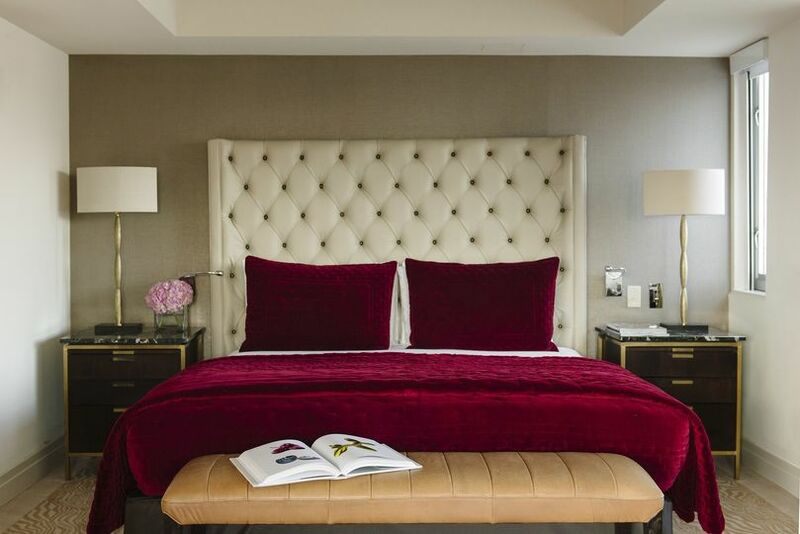 For your guests convenience, The Dupont Hotel offers on-site accommodations just steps from the city’s greatest attractions. The hotel’s free Wi-Fi services, state-of-the-art fitness center and expert concierge services will make for an unbeatable stay for you and the ones you love most. We just got married at the Dupont Circle - ceremony in the Foxhall Room and cocktail hour/dinner/dancing in the Glover Park Room. 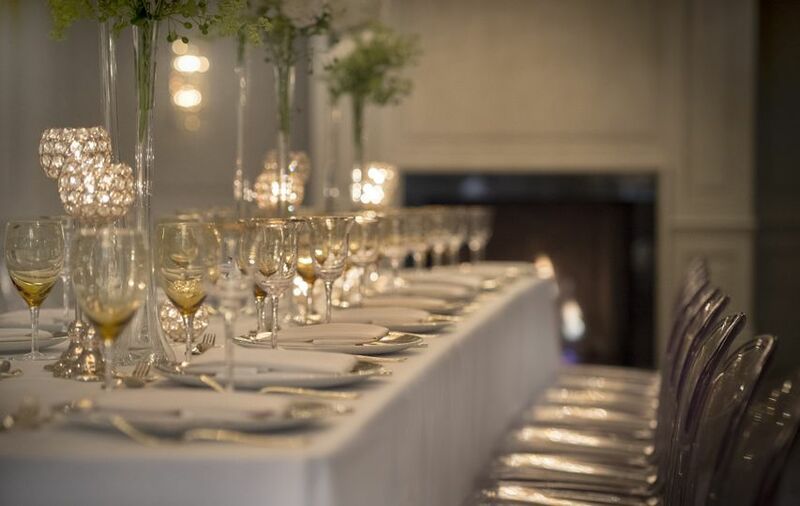 After looking at a number of venues throughout the city, we decided on the Dupont Circle for a number of reasons - their aesthetic, food, service - but paramount in our choice was the great spaces available for our smaller (70 people) wedding. We wanted something intimate with good food and The Dupont Circle ticked all our boxes. We stayed on site on Friday and Saturday in a beautiful level nine suite and were treated spectacularly during our stay. All of the staff we worked with - especially Lisa and David - were absolute professionals and we always felt like we were in good hands. The planning process was easy and I thought the cost of the event was very reasonable. 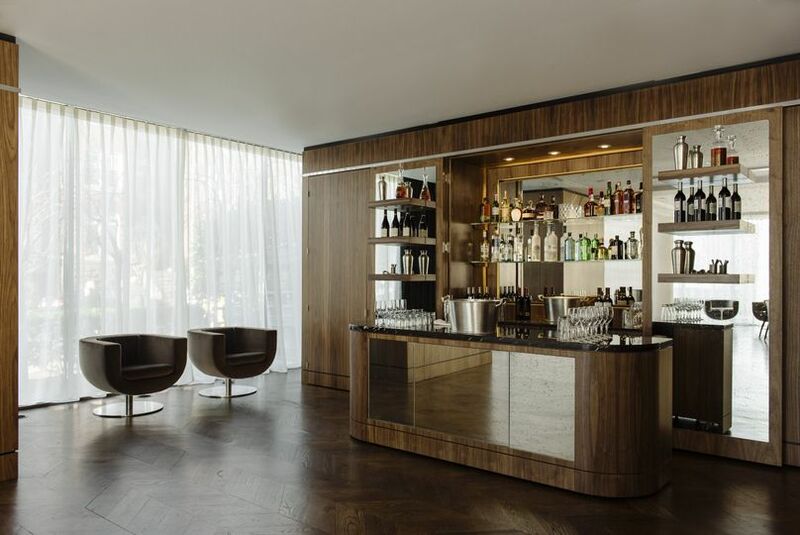 One of the other things that got us to look at The Dupont Circle is that their function rooms are all above ground and have windows and natural light. For one evening event this might not seem important, but having windows, seeing the outside and knowing you're not in a basement were huge. I cannot recommend The Dupont Circle enough! We held our daughter's wedding at Dupont Circle Hotel three weeks ago. We were thrilled with the planning and execution of the entire event by David Houde, the events manager at the hotel. David's professionalism and attention to detail were evident throughout every phase of this celebration. 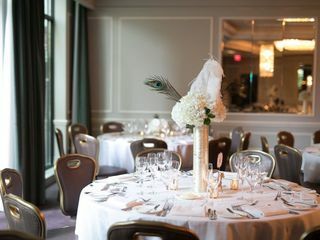 Dupont Circle Hotel is a great place to host a wedding. The entire staff, from front desk staff to valet parking staff to bellman service were all extremely professional and welcoming. 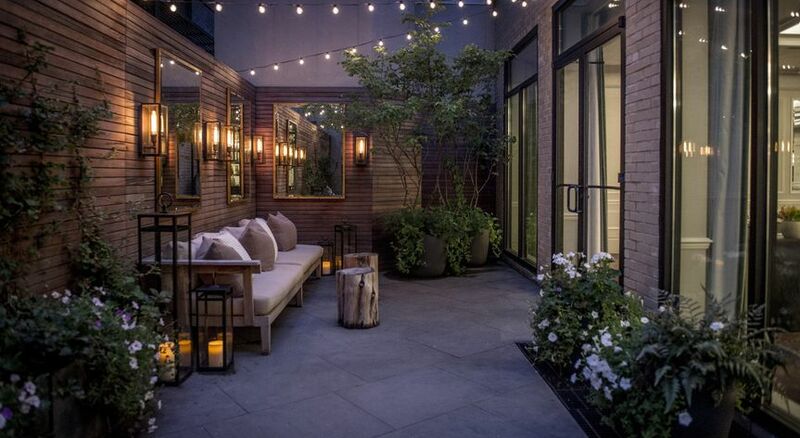 The hotel itself is modern and luxurious. We were given a really good weekend rate for our guests. My wife and I were upgraded to a suite (totally unexpected); a bottle of wine and a plate of fruit awaited us. We met with David the day before the wedding. He went over each and every detail of the wedding. No detail was overlooked. He introduced us to James, the food and beverage manager. Both David and James were present during the entire wedding and reception the following day. We held the ceremony in the Glover Park Room. We had full use of the wireless sound system. The after-ceremony reception was held in the Foxhall Room (the fireplace was lit for added ambiance). 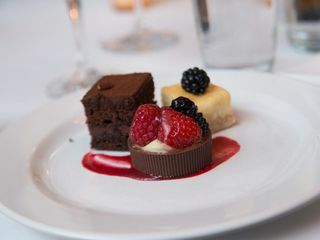 The bar service and hors d'oeuvres service were very efficient (the food was great). The dinner and dancing were held in the Dupont Ballroom. We had full and private use of the entire space, including excellent restroom facilities. Dinner service was excellent: the food was great, well-prepared, and efficiently served. We danced until 11:00 pm; David reserved a large space in the hotel bar for partygoers who wanted to continue the celebration. We closed the place after 1:00 am. We received excellent value for our investment in Dupont Circle Hotel as the venue for our daughter's wedding. This place is fabulous, mainly due to David Houde's professionalism and attention to detail. Look no further for a spectacular wedding venue in Washington, D.C. Thank you for sharing this thoughtful note. Needless to say, I am thrilled your special celebration at The Dupont Circle was everything you and the family had hoped it would be! It was a genuine pleasure welcoming you and the family to our hotel, David. I sincerely hope we see you back at The Dupont Circle soon! My daughter Marissa and (now) husband Dave's wedding this past weekend was a resounding success thanks in great part to the banquet and hotel staff at The Dupont Circle, guided by the very able management of David Houde , Director of Catering & Event Sales. David Houde generously provided his time, considerable expertise, and very visible and unwavering support before, leading up to the event, and throughout the weekend. Since this was a destination wedding for a couple who reside away in the NY/NJ area, logistics were more challenging than usual. Most of our guests stayed at the hotel, and everyone was very happy with accommodations, services, and staff attention. The ballroom provided the perfect setting for a 170-guest formal affair, with just the right balance of dance floor, table space, and movement for a fun party. Cocktails were held in a lovely room adjacent to ballroom, with a perfect foyer in between to provide a separate, private party environment for the affair. We also held a brunch in another event room the following morning which wrapped up a perfect weekend for everyone who attended. Thank you from all of us to David Houde and the entire staff at the hotel. We had a perfect wedding to remember for all the years to come. Thank you for posting this wonderful review of Marissa and Dave's wedding at The Dupont Circle! I am thrilled the event was everything the family was hoping for. It was a joy getting to know you all at this special time, and I sincerely hope we have the opportunity to welcome you back to The Dupont Circle soon!